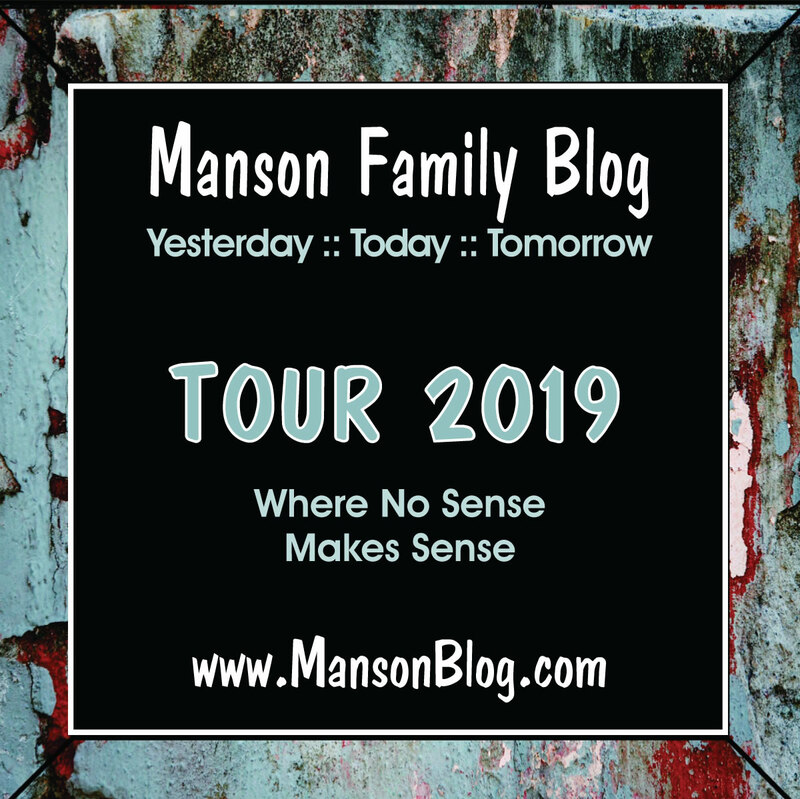 Where is the blue Manson Bus that was photographed at Barker Ranch, today? 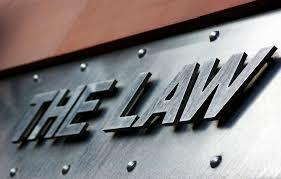 Patty received permission this week to tell you the story that Paul Dostie told Matt, Liz and her in May, 2012. 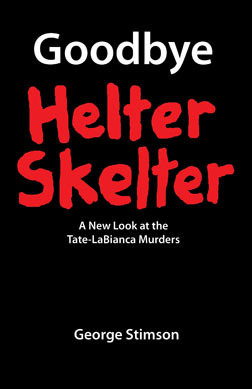 Susan Atkins told an investigator that she left the Barker Ranch in October, 1969 to get baby Zezo. Two male bikers from Venice, CA accompanied her back to Barker. This story was corroborated by Linda Kasabian's lawyer because Linda picked up baby Tanya in LA at the same time. When Sadie and the bikers arrived at the Goler Wash, Manson and three male Family members asked her to continue up the wash on foot. Supposedly the bikers were "never heard from again." Buster the wonder dog showed us where, specifically, the bus is supposed to be buried. Do you know the trash can south of Ballarat on Wingate Road that says "Barker Ranch, one mile?" Just beyond this, you come to the intersection of Wingate and Coyote Canyon Roads (the latter takes you all the way up the canyon to Barker Ranch). There's some dirt, rock and scrub brush moguls right there at a somewhat jumbled and undefined turnoff. The location of the well is described as "10 meters off the road." In the past, there have been rumors that this well was a "mine shaft," but it is not. It goes straight down into the silt, not horizontal into solid rock. It would be a good source of water because the dry lakebed there which often fills in winter is most always wet just a few yards down. The thing is, if you don't maintain your well after a hard rain, the water, dirt and rocks from the wash will fill it in right quick. This is what happened with the well in question. Supposedly after the bikers were dumped there, nature did the rest. There's even greenery growing on top now, so you really cannot see a darned thing from the top. "around 1974, BG was visiting a friend ("TO"), who was the caretaker at the Barker Ranch. 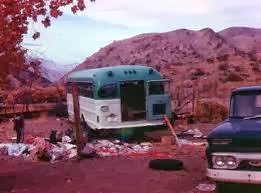 The caretaker decided to get rid of the Manson bus that was in the front yard because it was attracting too many tourists. The bus was cut up with a torch and they hauled the pieces down to the bottom of the Goler Wash in multiple trips on a flat bed truck. 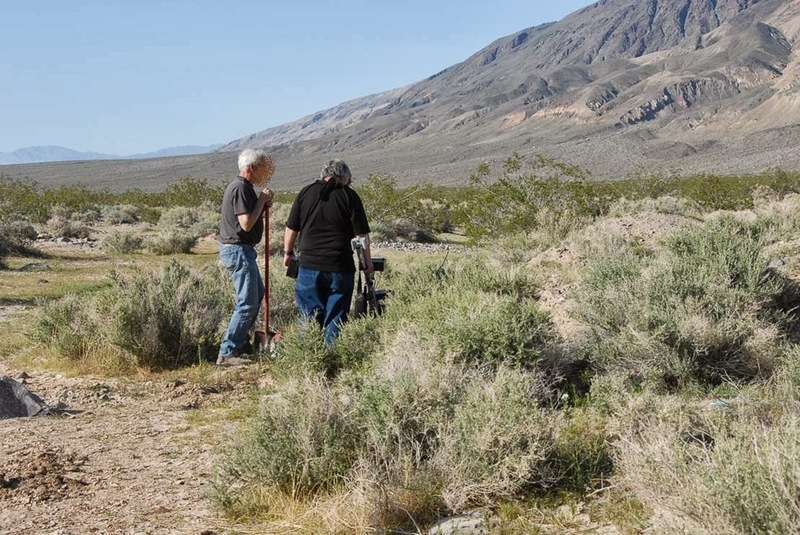 At the bottom of the Goler Wash, there was an open pit well about 9 feet in diameter and 60 feet deep. There was a lot of junk and trash at the bottom of the well. 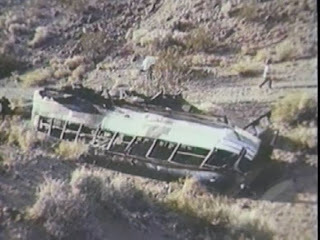 They threw the pieces of the bus down the well and when they finished, it was 15 feet from the top. Subsequent flash flooding filled the well in and the location is indistinguishable from the surrounding desert...Investigative information indicates that there may be two or more victims at the bottom of the well." Sgt. Dostie says that satellite tests could reveal a large amount of iron underground in the place that has been identified, but to date, nothing has happened because said tests are very expensive. I always thought the original bus was painted black. Who repainted it green & white? Yep, black bus conked out in San Jose. Its in little Paul's book. While tying to find some previous information on the well/mine shaft, I came across ar post by Liz, that I'd forgotten. It's from this past August and mentions a well/mine shaft similar to the one in Patty's story. This one was at Spahn Ranch not Goler Wash. For a while, I thought it was the same hole in the ground. Population: 1 Old Rancher and the Manson Family. happy 2014 to all of you !!! Wow Linda didnt pick her daughter up until Oct? Not true that the bus what cut up. It is still at the ranch.